Ringtail Ranch and Rescue is an animal rescue that takes in animals that have been abused or neglected, or animals that have been surrendered by their owners because they can no longer care for them. Many people buy exotic animals as pets, not realizing how much space, food and attention they need! Ringtail Ranch and Rescue provides a loving, caring and safe environment for animals in need. This weekend they are holding an open house to raise funds for their rescue organization. 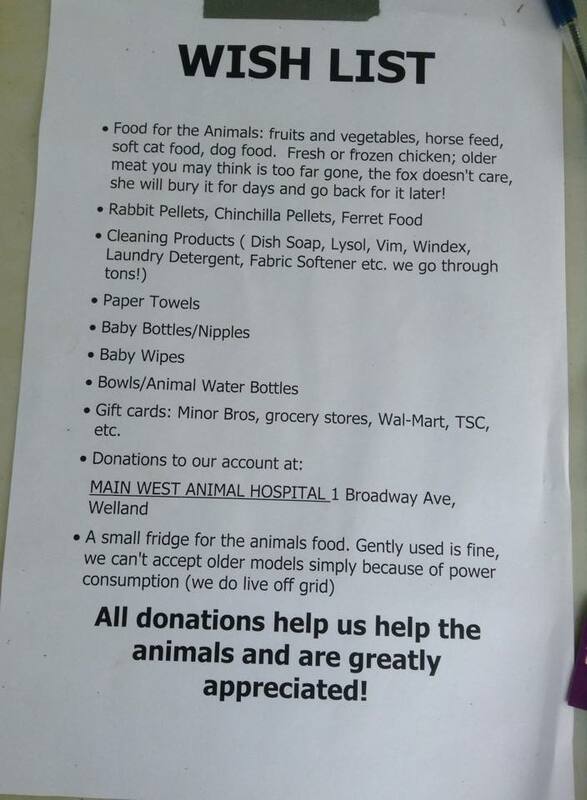 The open house is free to attend, although they are accepting donations of money or items off of their wish list to help out the animals. During the open house they are also holding a silent auction, a barbeque, horse rides and some other activities. And of course you get to interact with the animals! 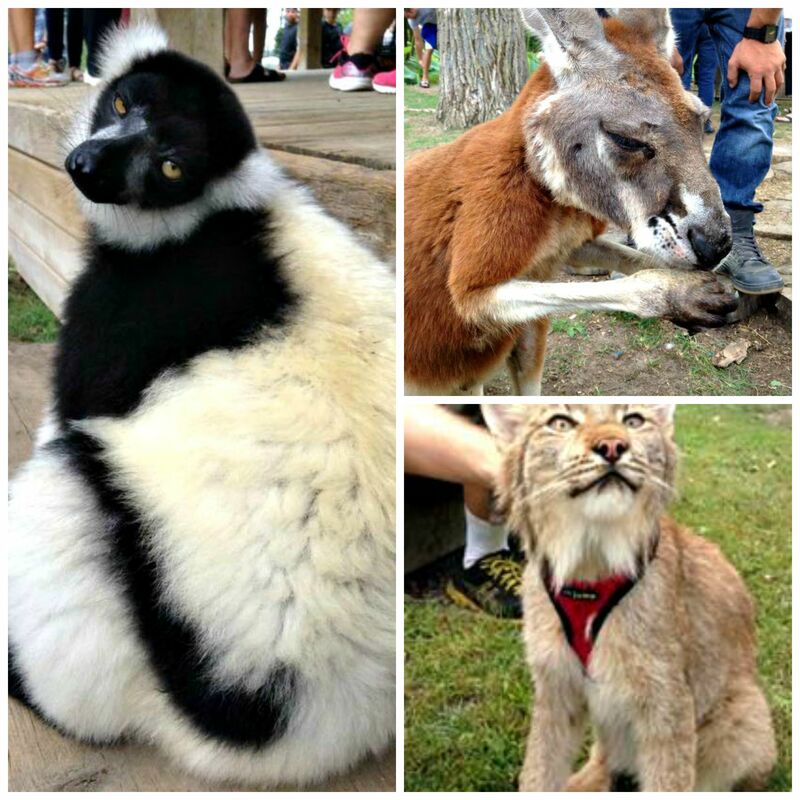 The majority of the animals are able to roam around during the event and they are very tame and friendly. 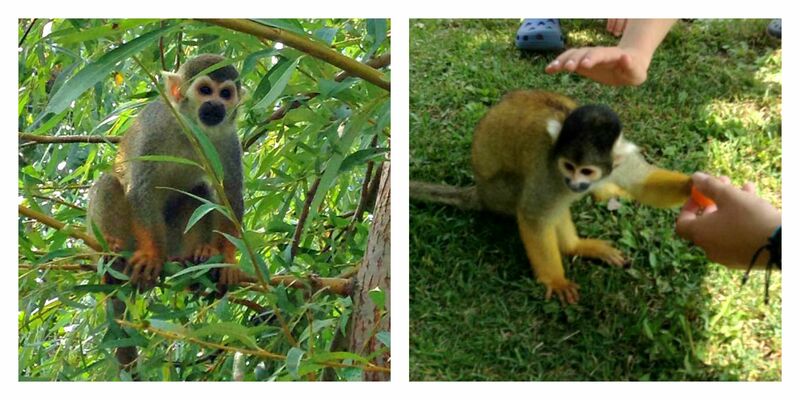 Some of the animals that I got to meet were a lynx, lemurs, monkeys, a kangaroo, donkeys and others. If you’re looking for something fun to do this weekend I highly recommend checking out the open house at Ringtail Ranch and Rescue at 21180 Garringer Rd. in Wainfleet, on Sunday August 30th between 11 am and 5 pm. Have fun! Ringtail Ranch and Rescue’s wish list. I recently attended a Pysanky workshop at Needlework. It was such a fun experience. At the end of the workshop I bought the tool for melting and drawing with the beeswax as well as some dye so I’ll be trying it out again on my own. I’m hoping they run the workshop again next year because it was really neat to work on my eggs around others and see what they were making. 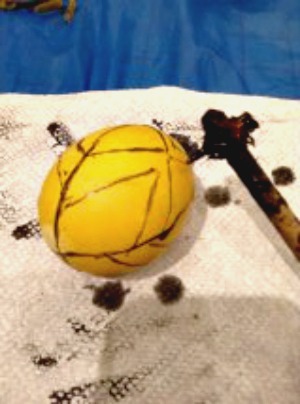 Starting the pattern for my second egg. 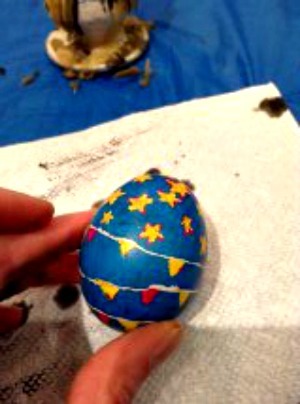 The first egg that I finished. 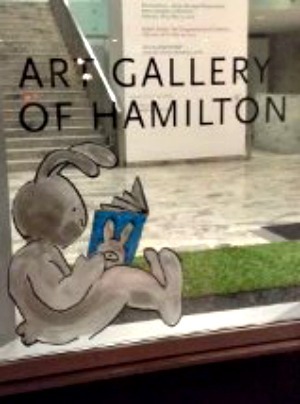 If you’re looking for something to do on Easter Monday, the Art Gallery of Hamilton will be open from noon until 5 pm. They currently have a fabulous exhibit called One-Eyed-Rabbit by Jonathan Plante. 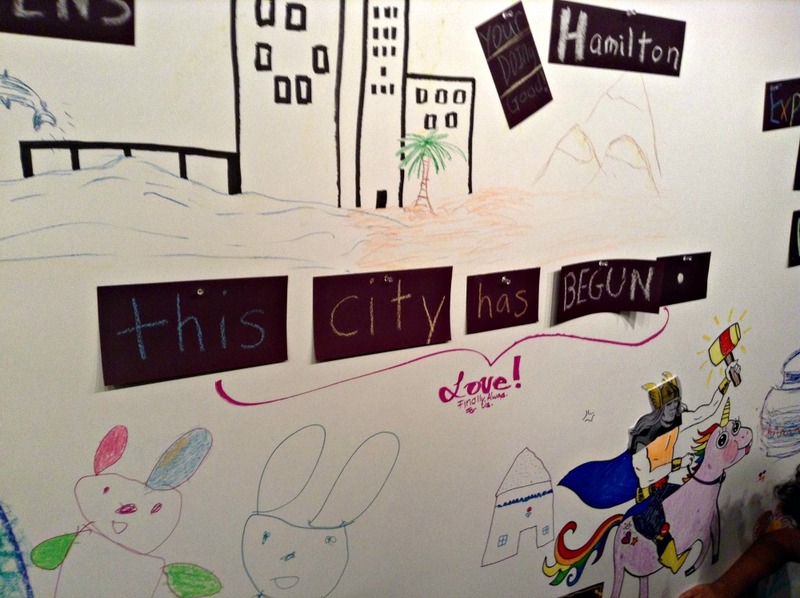 This is one of my favourite exhibits that the AGH has had. it’d be a great exhibit to take kids to but I think most adults would love it as well. It has so many different parts to it, there is something for everyone. The front window at the Art Gallery of Hamilton. Part of the mural in the grass covered movie watching area. And in case you missed it, my roundup of Easter books for children. Happy Easter! Looking for ways to encourage your children to practice their writing skills this summer? Try making a salt tray! It’s cheap and easy to make and it’s a fun way to help your kids practice their literacy skills this summer. – Paint. Acrylic paint from the dollar store or paint samples from a hardware store will work. I used latex paint I had left over from another project. Dark or bright colours like blue, purple, green work well. Any colour that will provide a nice contrast with the salt. Step #1- Clean off the tray prior to painting. I used rubbing alcohol to wipe it off to make sure any oils etc were off. This will make sure the paint sticks to the tray. If your tray is rough or has a design painted on it you can sand it after cleaning but this is optional. Step #2- Paint the tray with several light coats of paint, allowing it to dry completely in between coats. It’s a good idea to lightly sand in between coats with fine sand paper in order to get a smooth surface. Step #3- When your tray is completely dry cover it with salt or white craft sand and let your kids start writing! Kids can practice writing in a salt tray with their fingers or let them use tools like chopsticks to draw and write in the salt. It’s a neat way for younger kids to practice writing letters and numbers and it lets older kids practice writing new words. To erase just shake the tray gently from side to side. Here’s some photos of the Saturday of Supercrawl 2013.You can see photos from the Friday night of Supercrawl 2013 here. 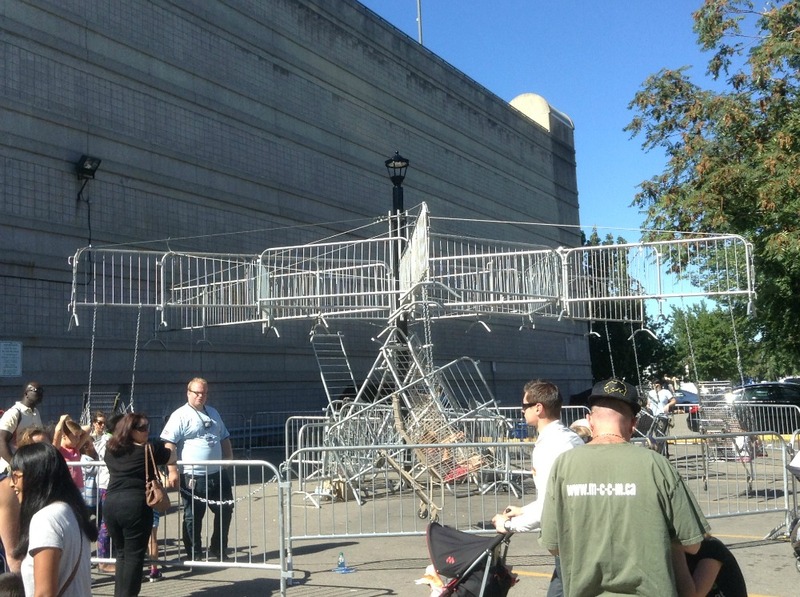 A carousel made out of metal crowd barriers and shopping carts. 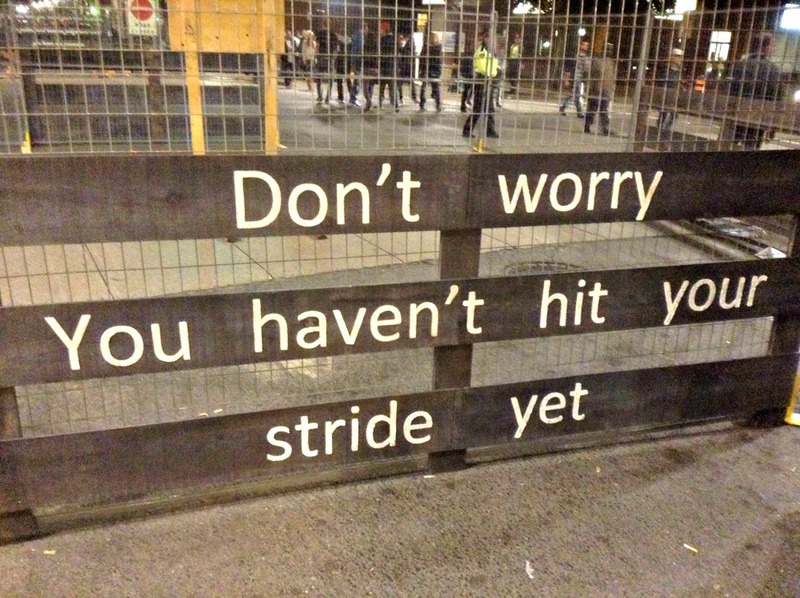 You could actually take a ride on this! When I walked past it a man was running around, pushing the people sitting in the shopping carts. 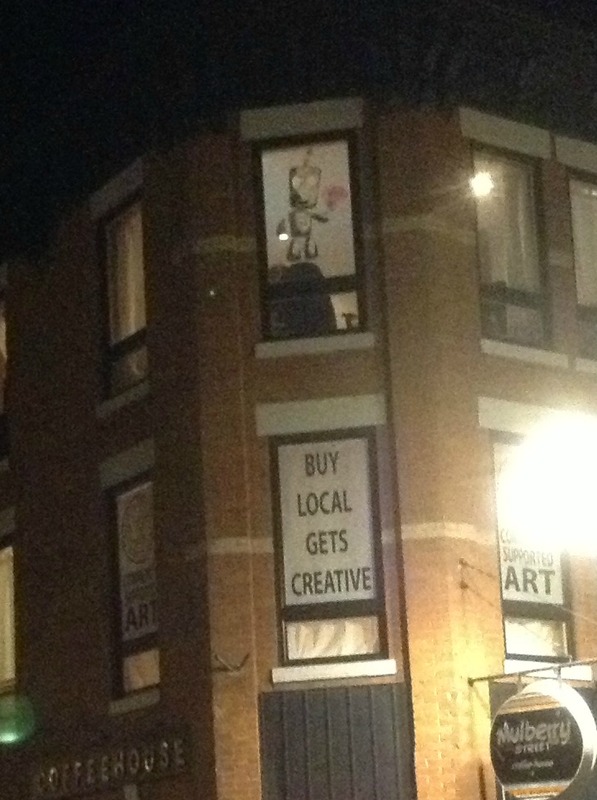 People powered art! Unfortunately I didn’t get a chance to ride on this but it looked awesome. An old-school printing press. 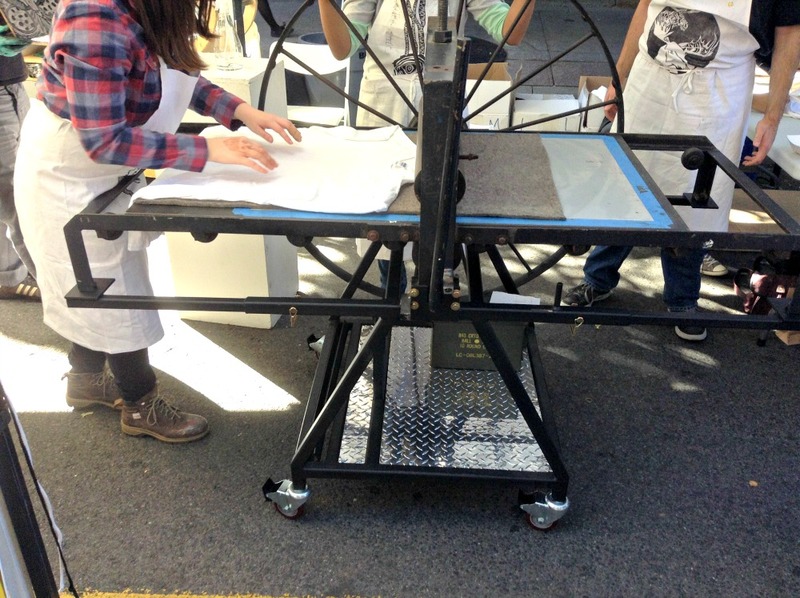 Students from McMaster were running this, printing shirts and such on demand. It was really neat to watch! 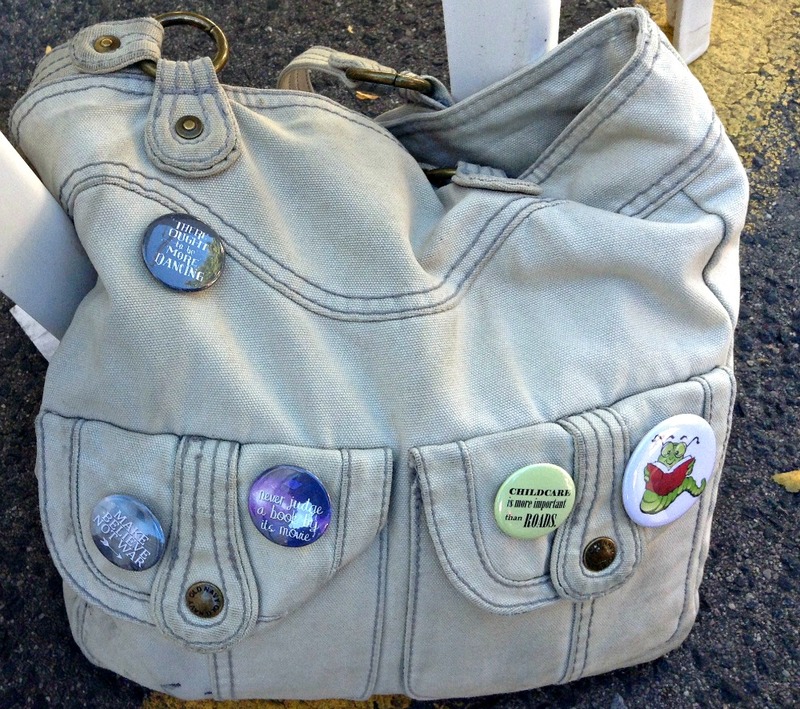 Some of the many buttons that I bought at Supercrawl. Buttons are one of my favourite things to buy at festivals (and where ever else I find them!) They’re affordable art, fun to collect and wear. I feel that when I’m buying the buttons I’m getting a little taste of what the vendors have to offer. I love making a bunch of small purchases at art heavy festivals, makes me feel like I’m helping to support all of the artists in a (very) small way! This was in front of Centre 3. I think they might have been selling them or letting people screen print their own but we got there as they were closing up. My absolute favourite purchase of all Supercrawl 2013! 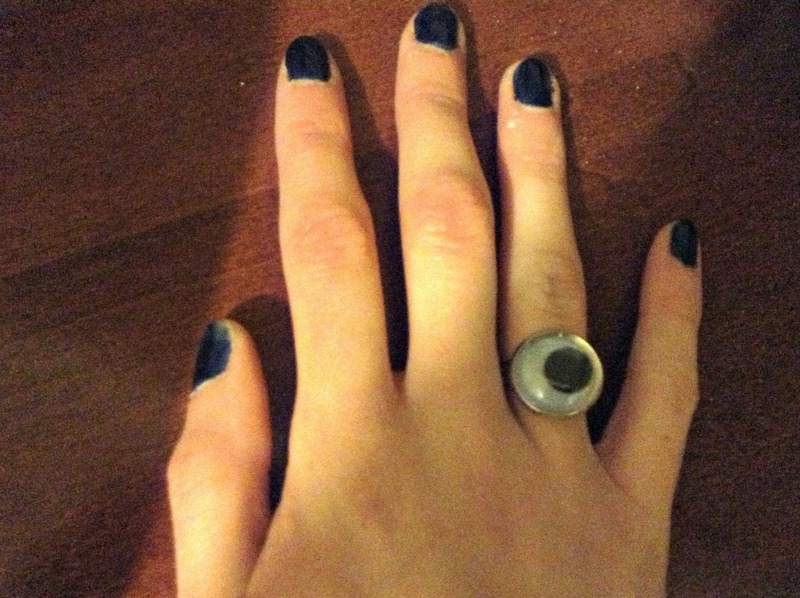 A googly eye ring- perfect jewelry for me! North Pole Reform School seems like such a fun book! Don’t forget to put North Pole Reform School on your TBR list and be sure to check out Jaimie’s website. You can also find her on Twitter, Goodreads and Facebook. 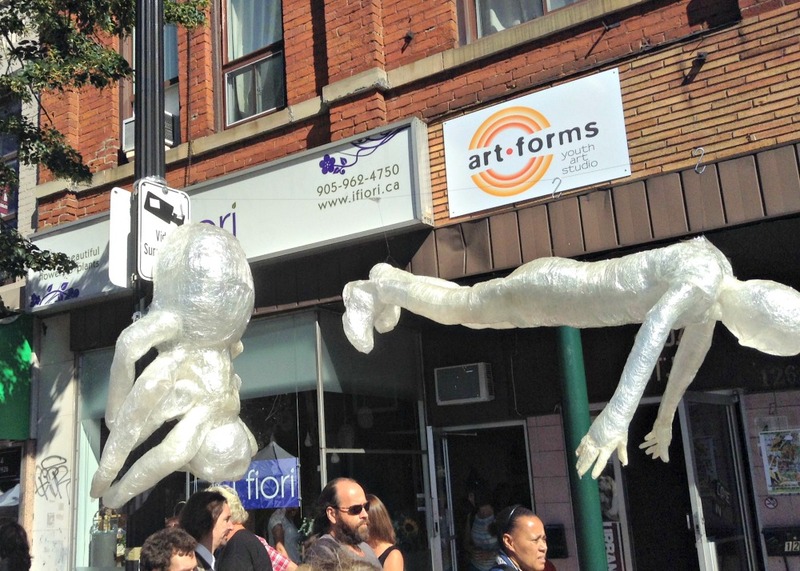 Supercrawl is one of my favourite events in Hamilton. 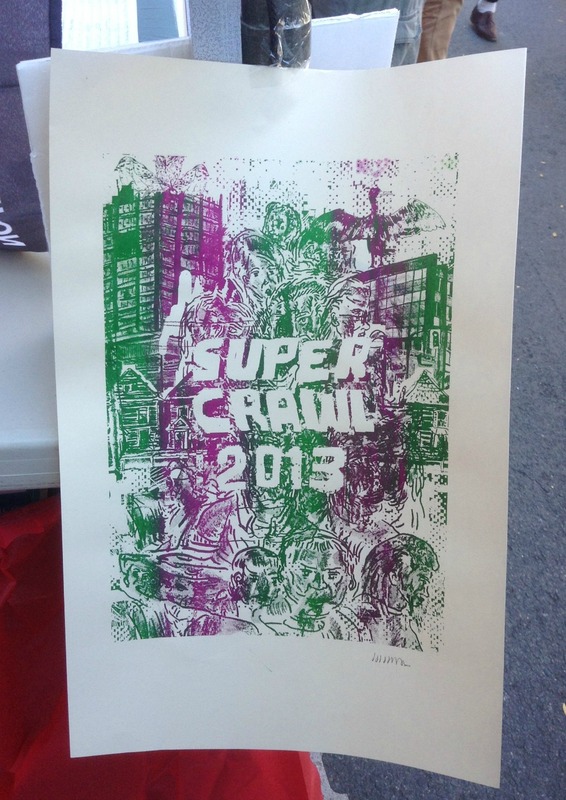 I go to many of the Art Crawls throughout the year as well but always look forward to Supercrawl. Being able to walk down the middle of James Street North without being hit by a car, checking out the many wonderful vendors, eating at the food trucks (Beaver Tails! ), checking out the bands and of course the fantastic art, both in the galleries and on the street- it all adds up to a fabulous event. 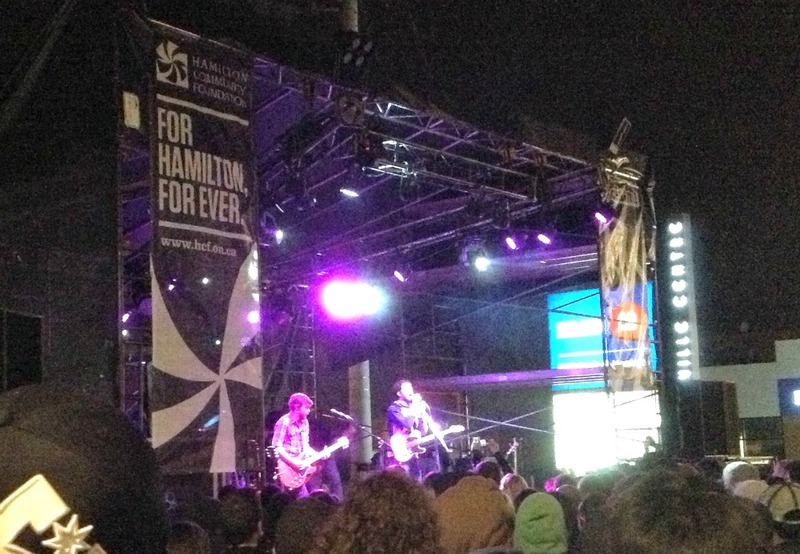 Here are some photos of the Friday night of Supercrawl. 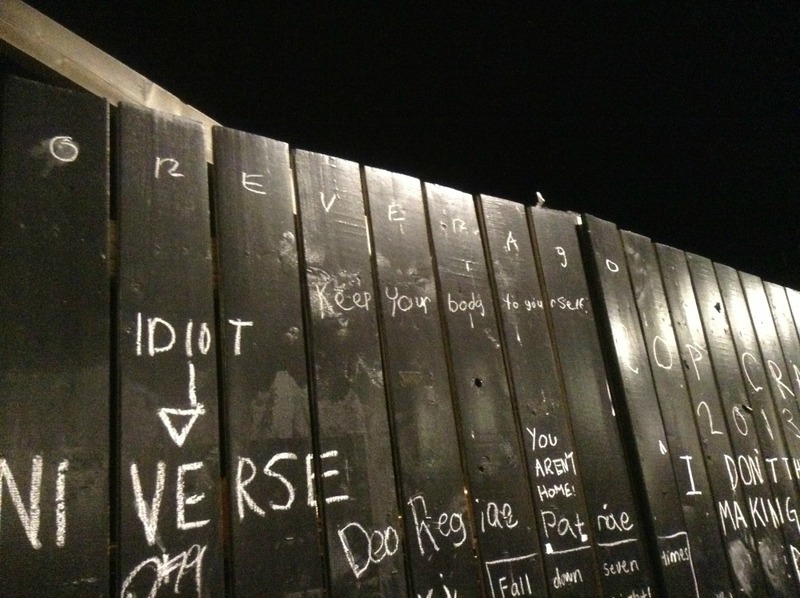 I absolutely loved this idea- art created by the public. This chalkboard wall was really fun. it was pretty full already by Friday night and by Saturday night it was absolutely packed with writing and drawings! No space is wasted! Love these windows at the Mulberry. 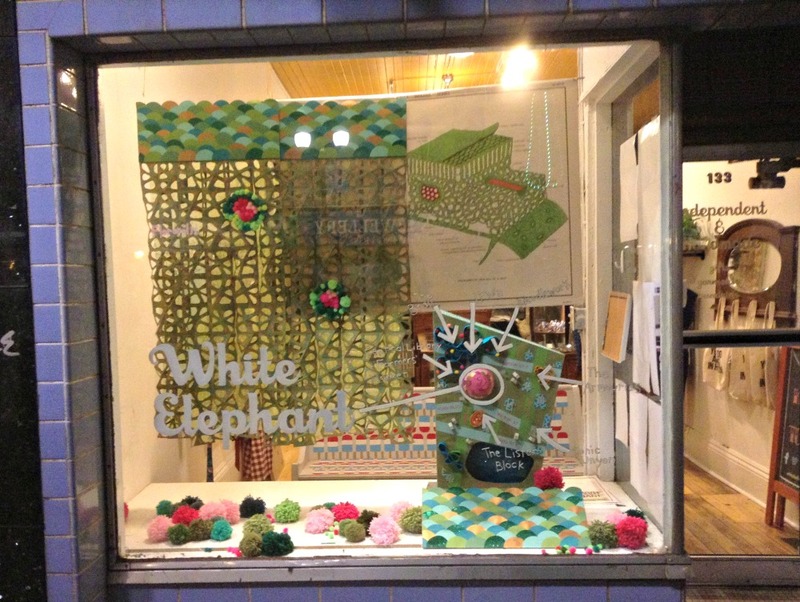 Creative and fun window at White Elephant. I always look forward to checking out their window displays! How To Get Rid of a Bat in Your Apartment. Step 1. Don’t use bare hands to remove a bat from your home. Put on heavy leather gloves. Put on giant, puffy winter mittens and curse the fact that you don’t own heavy leather gloves. Step 2. Isolate bat in one room and open a window or door. Leave the bat alone so he can find his way out. Step 3. Success! Go back to bed. Bat decides to crawl under closed bedroom door instead of flying out of wide open front door leading to freedom. Realize that you are dealing with a not so bright bat. Curse the stupid bat. Step 4. Open bedroom window so that bat may fly away. Bat decides to hang out on the blinds covering the bedroom window. Put on heavy sweatshirt and sunglasses. Hide under a sheet while you contemplate your next move. Try to take photos of bat without uncovering any part of yourself. Step 5. Success! Go back to bed. Bat falls off of window and into a box of craft supplies. Ask bat to take an IQ test. Steps 6, 7, 8…. Cover box with a towel. Pick up box and run outside while shrieking. Drop box on ground, remove towel. Wait for bat to fly away. Gently nudge box. Bat stays in box and starts squeaking. Take more photos of the bat. Attempt to pry bat out of the box using a butterfly net. Bat makes noises like an angry squirrel and clings to box. Abandon box, bat and craft supplies. Briefly consider writing a note warning neighbours about bat in box. Write a ridiculous blog post instead. For actual helpful advice on removing a bat from your house click here. Welcome to the blog tour for Overborn by Anna Silver. My tour stop includes a synopsis, review and a giveaway! I liked London’s character. She’s smart and tough, but certainly not perfect. London is the type of person that you root for. It was nice to see a YA novel where a girl actually has friends. Most YA novels show the girl either with a boyfriend, trying to get a boyfriend or trying to decide between two different guys, usually with a token friend so that she’s not just talking to herself for chunks of the book. I was happy to see Landon with a good group of friends. I felt like I really knew London because Anna Silver does such a good job of introducing us to her. We get a good look into her life- where she lives, her family, friends, etc. I like that you have enough of her back story and enough details about her life to make her feel like a real, fully fleshed out person. It made me more invested in her character and I cared more about her and her story. Otherborn is a bit slow at some points; it wasn’t consistent at keeping my attention. The ideas and events in the book are interesting but I found myself skimming the book at times, although the book does pick up. This book had some parts that reminded me of other YA dystopian novels. For example London creating a new song reminded me about how the Society in Matched had kept 100 dresses, 100 history lessons, 100 songs etc and nothing more was kept or made. I really enjoyed the writing in Otherborn. Anna Silver adds so many details and descriptions of the world, events and characters in Otherborn that you feel as if you are there. It makes for a more interesting read when the author has put a lot of thought and effort into creating a full world and Anna Silver does not disappoint. I would give Otherborn 4/5 stars and would highly recommend this book. Don’t forget to enter the giveaway for 5 ebook copies, open internationally. Click here to enter. Otherborn is available for purchase on Amazon and at Barnes & Noble. Find Otherborn on GoodReads and please check out the other stops on the Otherborn tour. What’s Easter without some chocolate? All of my favourite Easter things are available through Etsy. Click on the pictures to go to that item, or click on the seller’s name below the picture to go to the main page of their shop.